In today’s highly-technological age, there are many new terms that have become very mainstream that a decade ago, we had never heard. One such term is “native cloud.” What exactly does this term mean? 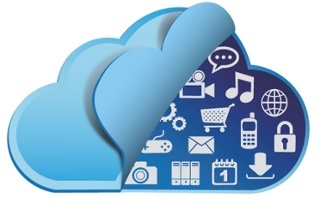 Native cloud refers to a type of computer software that uses, or is “native” to the cloud. To be a little more specific, native cloud utilizes services and infrastructure provided by cloud computing providers such as Amazon EC2 or Force.com. OK, that tells us WHAT native cloud is, but let’s break this down a little more and take a look at some of the best practices for using native cloud. In an article posted earlier this year by THE NEW STACK, we found a clear guide to the best practices for using native cloud. Be Micro- the best way to go about this is to breakdown the application into microservices where each service does one thing really well. This makes it much easier to do updates when needed which is a key for today’s cloud-native application. Sometimes the architecture of these microservices can add complications….. mainly the many containers to track. In 2014, Google introduced the Kubernetes project, which basically makes their container management system “opened source” making the management of microservices a bit easier. The Cloud Native Computing Foundation, a group that has formed in answer to this issue, will take the Kubernetes Project as a starting point to develop this open-sourced system. Be Explicit- when developing cloud-native applications, it is important to have consistent libraries and systems that are used for development, testing and production. Be specific about your code dependencies and your relationship with backend services. Be Stateless-Hmmmm, what does this mean? This means that configuration variables such as hostname and password should be specific to the cloud environment and not the repository. Basically, let the cloud work for you. Be Temporal- this is another way of saying, “be flexible.” Within the cloud, your application should be able to gracefully shutdown or start-up. If your application is Stateless, as explained above, you can do this without any loss of data. In April of 2016, Spoken announced the release of the new 2.4 version of the Spoken Cloud ACD. This is a flexible, native cloud ACD of the future that has implemented the best practices mentioned above. A key point to remember is that combining good design with coding best practices will make it easier to develop cloud-native applications.